WMHT | Ready Jet Go! READY JET GO! is an earth science and astronomy series for children ages 3-8. READY JET GO! takes viewers on a journey into outer space, building on children’s curiosity about science, technology and astronomy. READY JET GO! is an earth science and astronomy series for children ages 3-8. READY JET GO! takes viewers on a journey into outer space, building on children’s curiosity about science, technology and astronomy. The series follows two neighborhood kids: Sean, who has an all-consuming drive for science facts, and Sydney, who has a passion for science fiction and imagination. They both befriend the new kid on their street, Jet Propulsion, whose family members happen to be aliens from the planet Bortron 7. Together, they explore the solar system and the effects it has on the science of our planet, while learning about friendship and teamwork along the way. 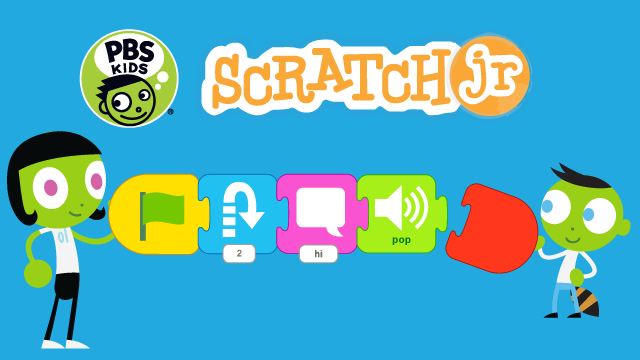 Learn how to code with Jet Propulsion and his friends using the PBS KIDS Scratch Jr. lessons on PBS LearningMedia!